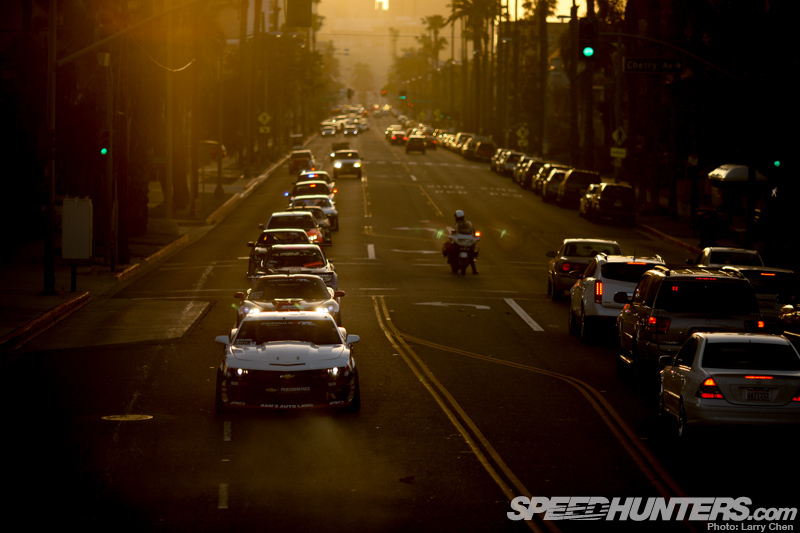 Whether you love it or you hate it, you can’t deny that drifting has had a huge impact on global car culture. 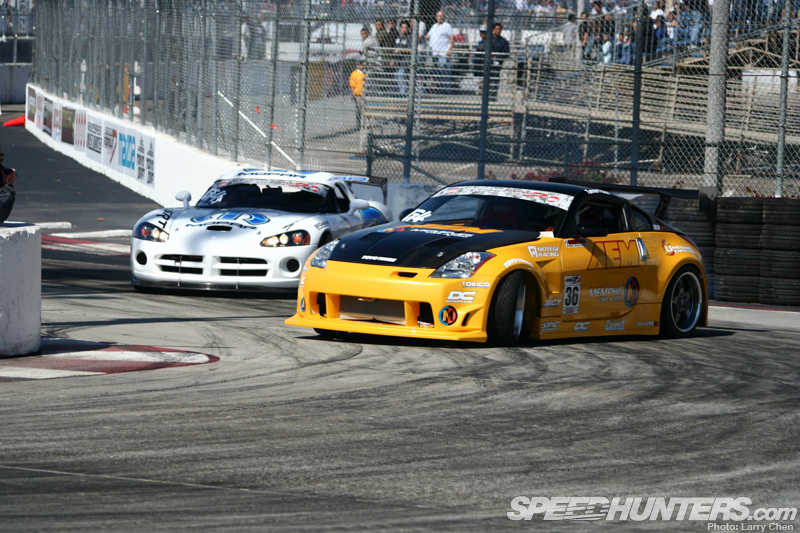 It’s been eight years since my first Formula Drift event at Long Beach, but it feels like it was just yesterday. 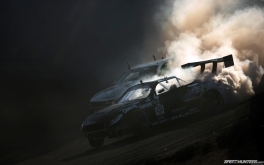 Just like thousands of other fans that day, I was utterly hooked the very first time I saw tire smoke billowing out from the wheel wells of a drift car. Its popularity has certainly changed my life for the better. 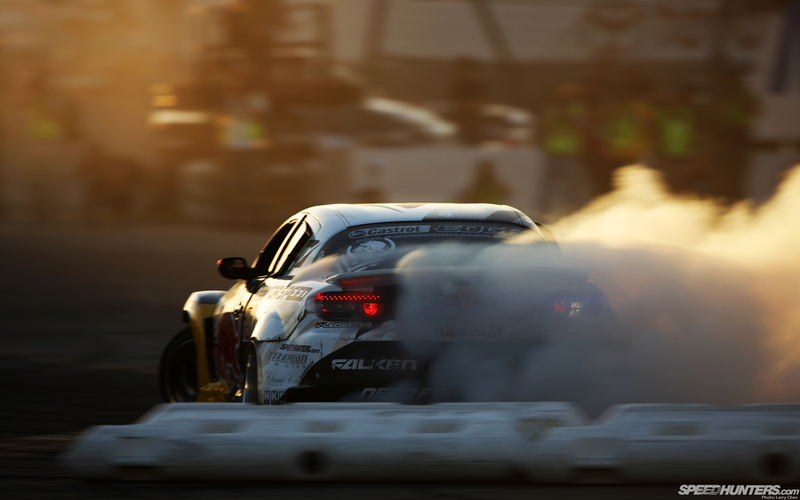 Next week, Formula Drift Long Beach will mark the start of its tenth season as a professional championship series. 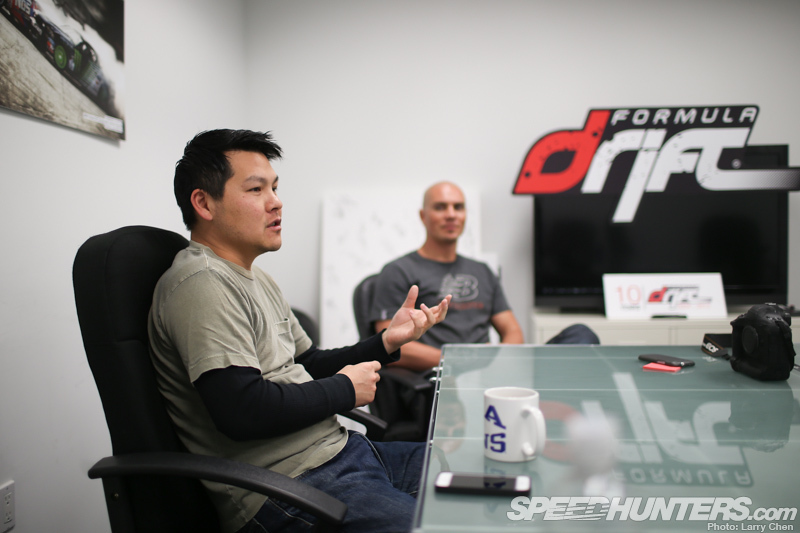 I wanted to have a chat with Formula Drift co-founders Jim Liaw and Ryan Sage about the series and about some of the trials and tribulations they have had over the years, starting with their very first event. Larry - What it was like in the beginning? 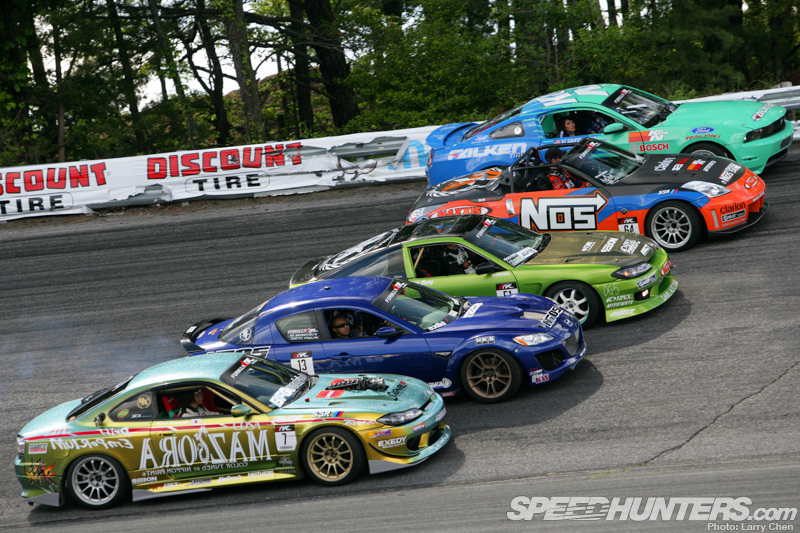 What sort of obstacles did you guys encounter that day back in 2004 at the inaugural Formula Drift event at Road Atlanta. Jim - From what I remember it wasn’t too bad. 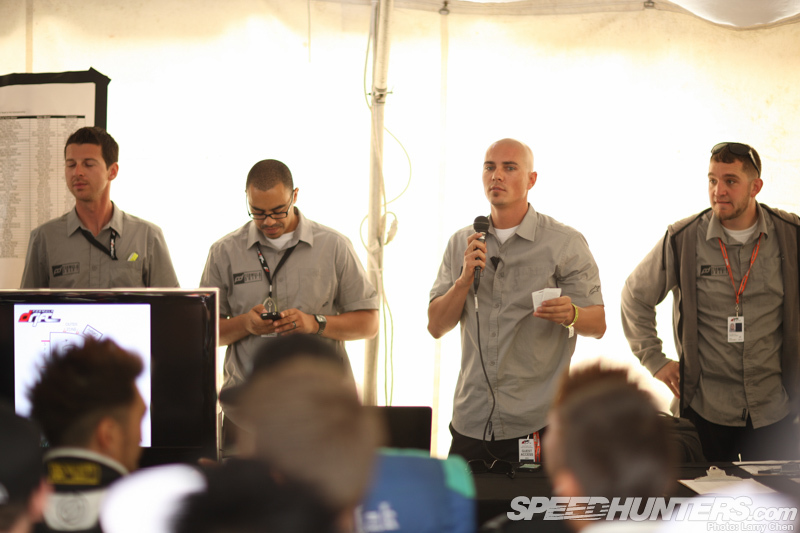 Ryan and I have already produced a huge event with D1GP and we also had SCCA (Sports Car Club of America) sanctioning the first Formula Drift in Atlanta. They helped us quite a bit to establish a technical foundation. I do remember distinctly that we were tested from day one. One of the top drivers that committed to the series, who was also sponsored by one of the main sponsors, did not make the Top 16 cut. Ryan and I were literally sat down by the sponsor and told something to the effect of, “Hey, we understand that you guys want to keep your integrity, but for the sake of the show you have to figure out a way to let this driver in. You guys are at season one, event one, and you really need to put on a good show and make sure your sponsors are getting the most of this.” They told us to go and take some time to think about it before Top 16 intros. Larry - I guess it wasn’t only a defining moment for you guys because it was your first event, it was a defining moment because they really tested your commitment to the series that you started. Jim - I think that set the tone, because I know we went into it saying, we are going to be different from the other guys. We are not going to become a secretive dictatorship. We were not going to say, okay look this is what it’s going to be like in Top 16, this is how its going to look, and not really care about anything or anyone else..
We wanted to get away from that model when we created Formula D, and event number one tested that right away. I felt it set the tone for all the drama that came in the next nine years. Ryan - That particular incident is one of my most distinct memories of the beginning of the series. It will always stick with me because when that happened the results had an imediate effect on the outcome of that event, and for a brief moment we were second-guessing ourselves. We were brand new at this. 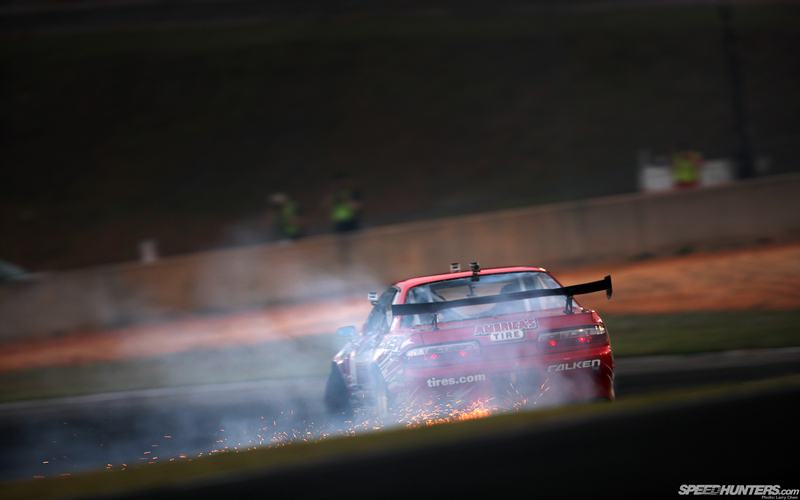 We had done other kinds of events before, but never a drifting series. 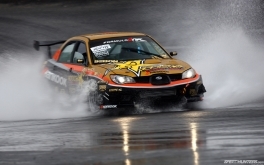 The only other experience we had producing drifting events was the first Ikatan event and of course when we helped produce D1GP’s individual events – not the series. 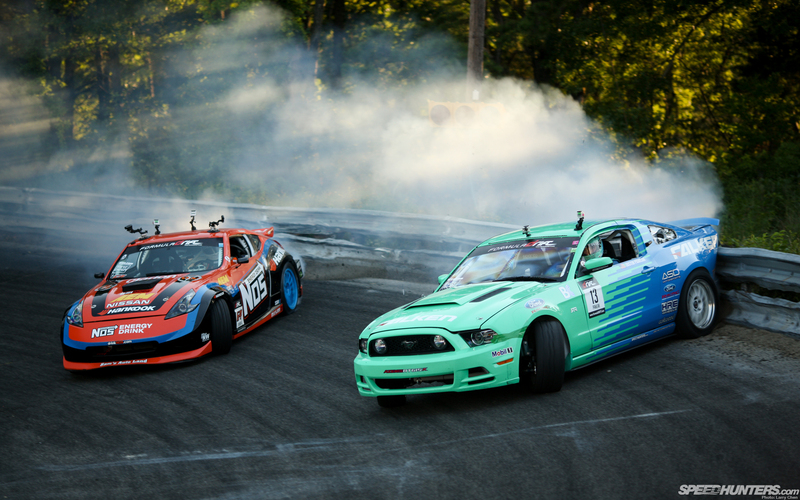 For those two events we were more just guns for hire, whereas Formula Drift was actually something that we had to make ours. When I look back on that first event and the decision we made, I can honestly say that I am 100 percent happy that we kept our integrity. Like Jim said, that pretty much was the defining moment that prepared us for many other things in the future. Your integrity is everything, even if only you know it. Larry - Tell me a little bit about the event itself. Where you guys running around like your heads were cut off? Ryan - A little bit. I do remember running around with my head cut off in some respect. I would not say we were underprepared, but I was naive about what the experience was going to be. There were so many things that could have potentially transpired given the amount of moving parts. Even after 10 years we always joke about that first event and the first season with the judges and the other staff members. I think it was one of our judges, Andy Yen, who has made the most cogent point on this sport, he said “I’ll never be surprised.” This is really true from my observation. You think you’ve got something figured out perfectly, but no. The nature of possibilities works for our series as well. It really keeps you on your toes. I really try not to pretend like that we have everything wrapped up and that we know every nook and cranny about the series, because we have an evolving product and new things will always come about. 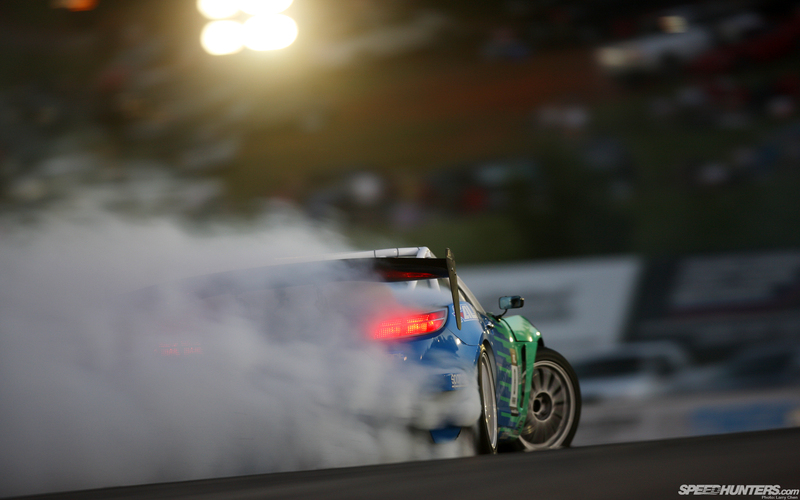 You try to have foresight on what that might be, like in the case of Road Atlanta. We just may never know what will happen and that we should be ready for anything. Reflecting back on that first event though, I just realize now how young and naive I was, but now I realize that was probably a good thing. Larry - Did you guys have an idea that this thing would last 10 years? Ryan - I don’t know if there was a conscious reflection that said: ‘I wonder what it’s like going to be like in five years, or 10 years’. I think we were very much living in the moment, because in 2003 I was 23 years old. It was very early on in my professional life. We were starting off our careers doing something that we really had no idea what the potential was, or could be. We knew what we wanted it to eventually become, but as the identity of the series has changed from year to year we have had to figure out what is right to do for the series and the people involved in it. The series is kind of like its own organism. You can feed it, condition it’s behavior possibly, but you’re never really going to 100 percent control it. 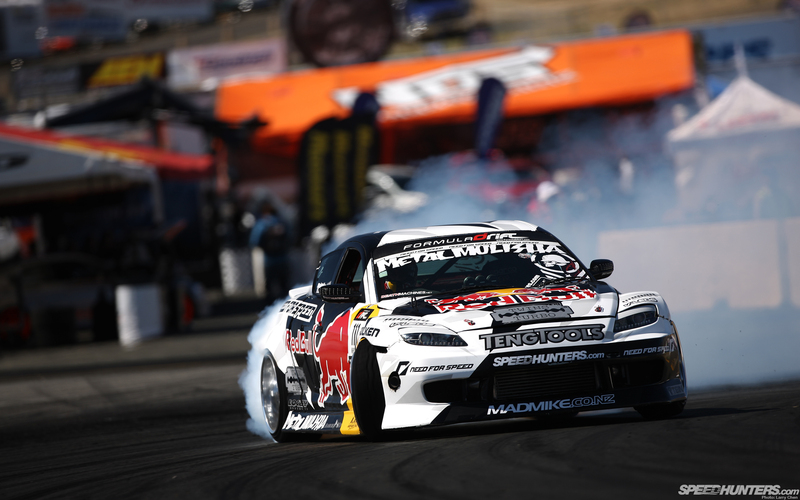 Jim - I don’t think there was a methodical three year or five year plan of what Formula D would shape out to be like, but I think we always felt it really sparked from producing that first D1GP event. 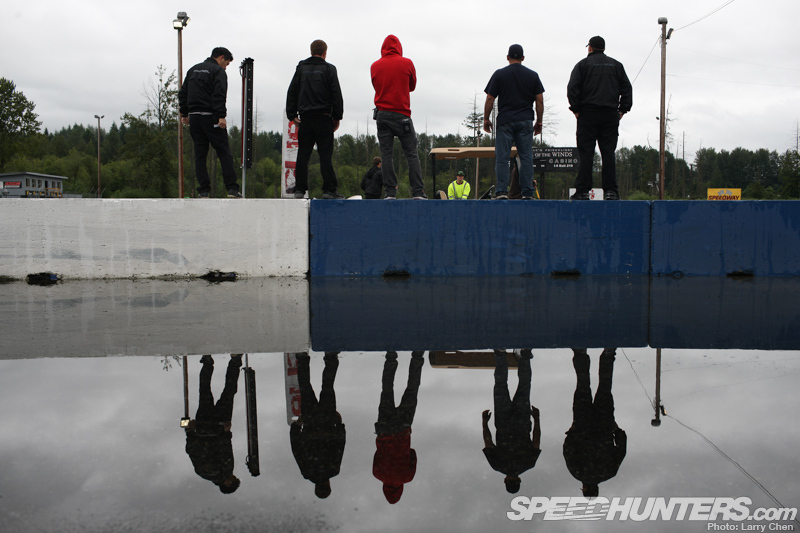 The appetite for drifting in North America was something that we noticed. It was something that we wanted to do more with. In the very beginning we had our marketing company. We were thinking let’s see how Formula D works out. We still needed the marketing company to subsidize some of the revenue and income, so we juggled doing both but very quickly within two and a half years Formula Drift became our full time jobs. We closed the marketing company down. 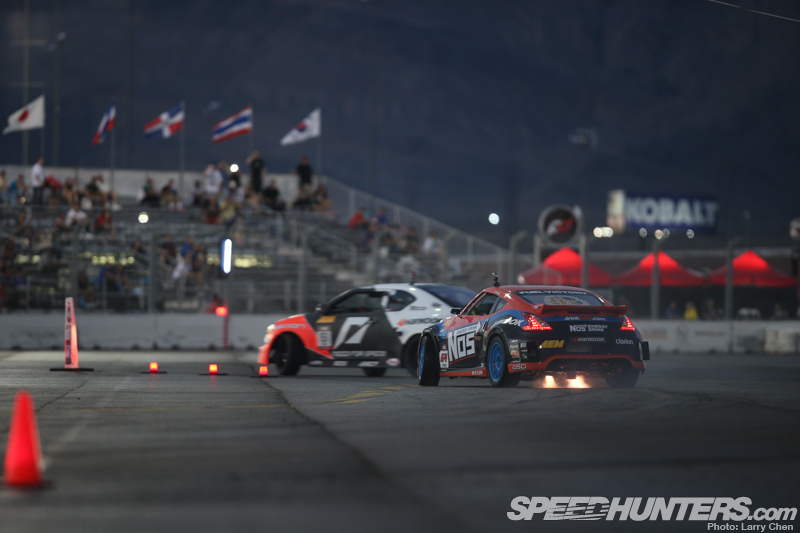 We dedicated our time 100 percent to Formula D.
Larry - Is there one moment where you guys had to pinch yourselves and think, ‘Is this really happening?’ Like maybe when you stare at the packed grandstands at Irwindale. Or some other event where you’ve thought, ‘This is a really big deal’? Ryan - I have multiple of those moments. One of them that is more personal to me was when my parents finally understood what I did. When they really comprehended what I did for a living and they were really proud of their son. That was very important to me personally. 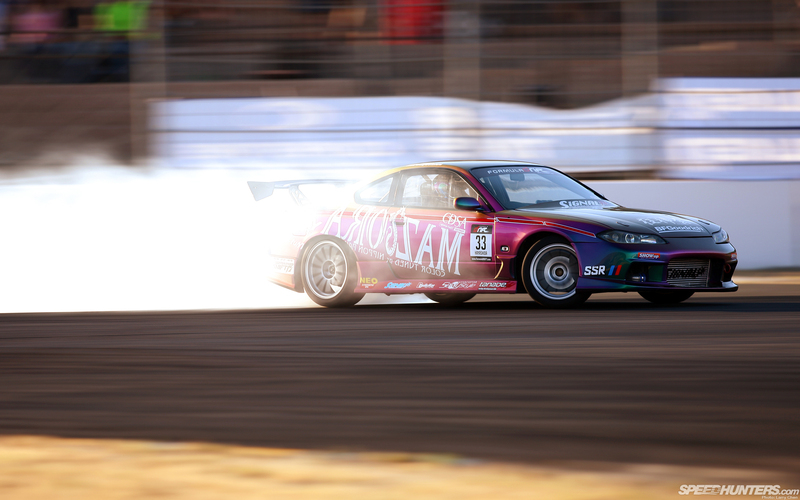 Outside that, I’ve always looked at Formula D as a passion play for us. I relate it to what an artist or a musician has to deal with when asking themselves if they really want to pursue their passion. For example they may say, “I can keep working my job at Starbucks for the rest of my life and try to make and try to be a musician on the side,” but at some point if they really want to take a shot at making their passion into a reality they owe it to themselves to make a full commitment to it. 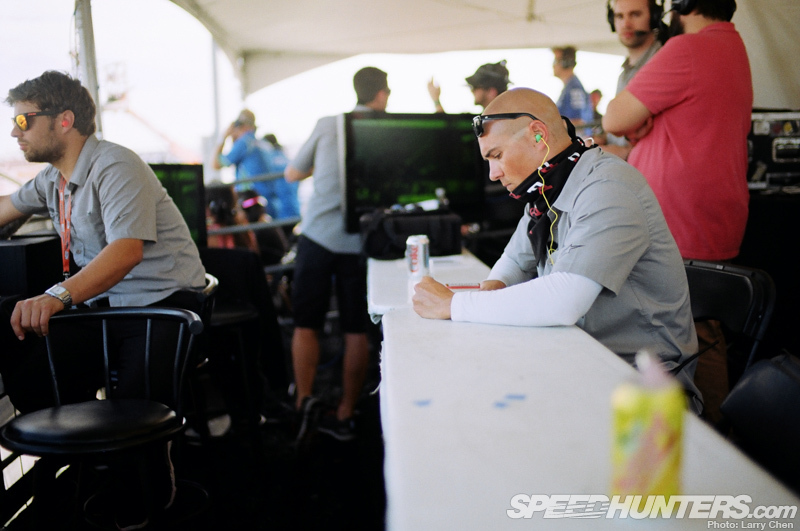 That is kind of where we were when that fork came up in the road, and we had to decide if we wanted to continue to do marketing, or if we wanted to dedicate our time to Formula Drift. It was a big decision, but there were drivers and sponsors who were willing to make that commitment with us, so there was no way we could go anything less than ‘full lock’ commitment into it as well. Another one of those moments, I also remember distinctly, was the last event of the inaugural season. 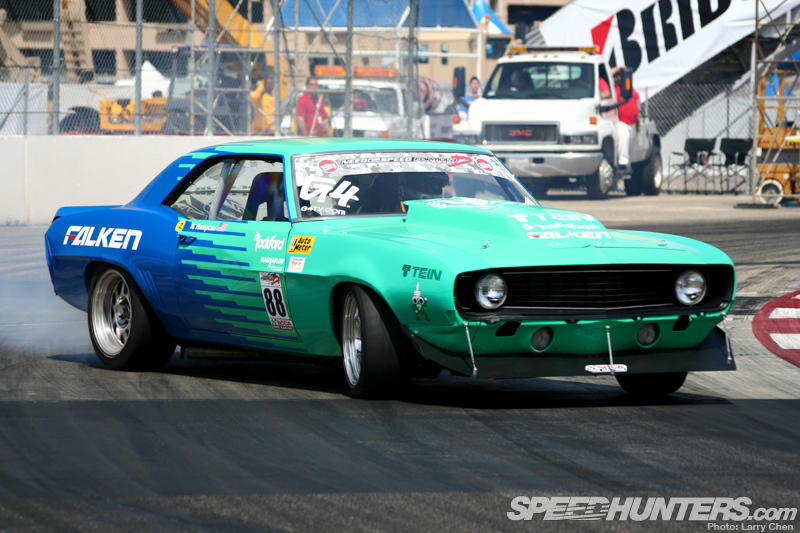 We came back to Irwindale after we were there the year prior with D1GP. 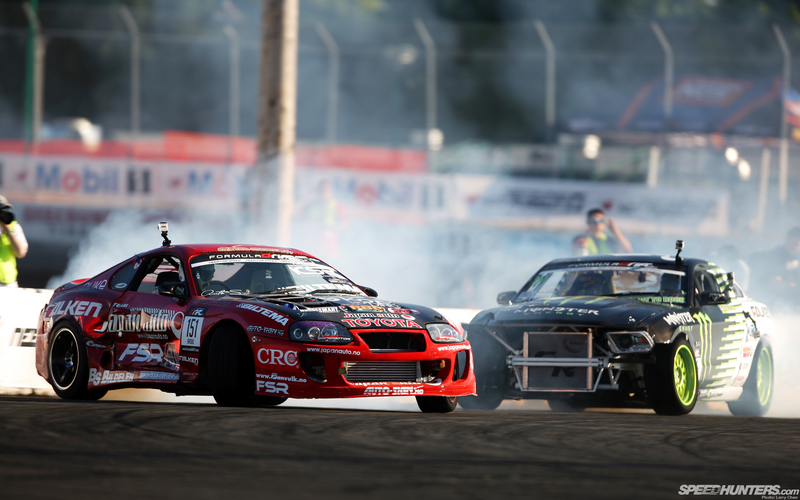 At that time, there was an industry comparison to how Formula D would stack up to D1. 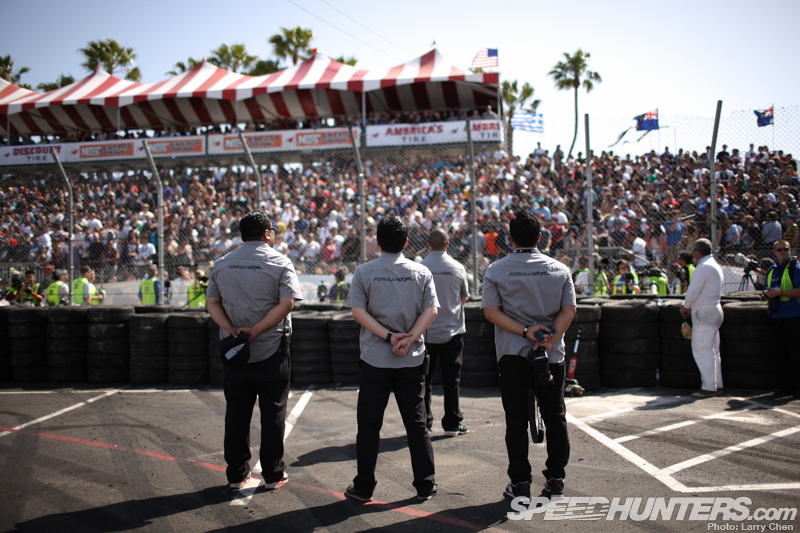 I don’t think we beat their numbers that year, as it took about two years to do that, I believe, but I do remember it was pretty packed at that first Formula Drift Irwindale. There was a really awesome feeling of satisfaction, especially when we did opening ceremonies. 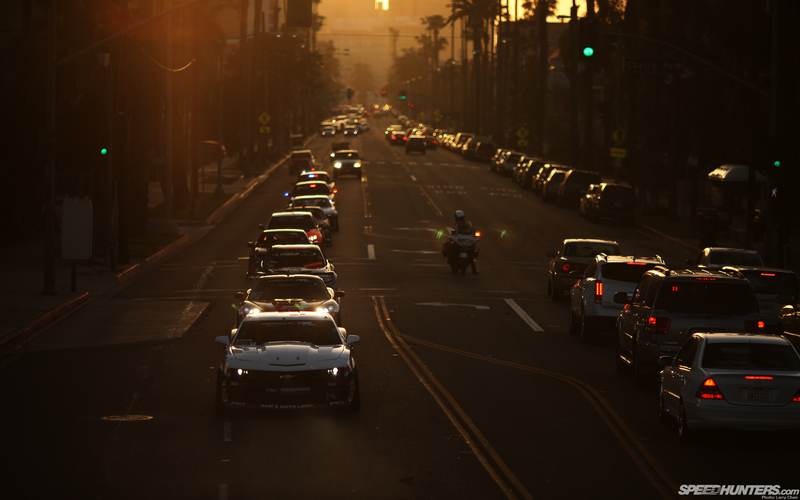 I remember to make ourselves different we would have theme music for the different drivers. For example like Rhys Millen came out to that Land Down Under song and the Drift Alliance guys came out raging to some out of control to heavy metal or Van Halen, or something like that. I remember standing out on the start line and seeing all the people there and everybody was totally supporting these unknown American drivers. The place was going nuts. And to think, literally, one year prior no one gave a s*** about these guys. That was really satisfying. 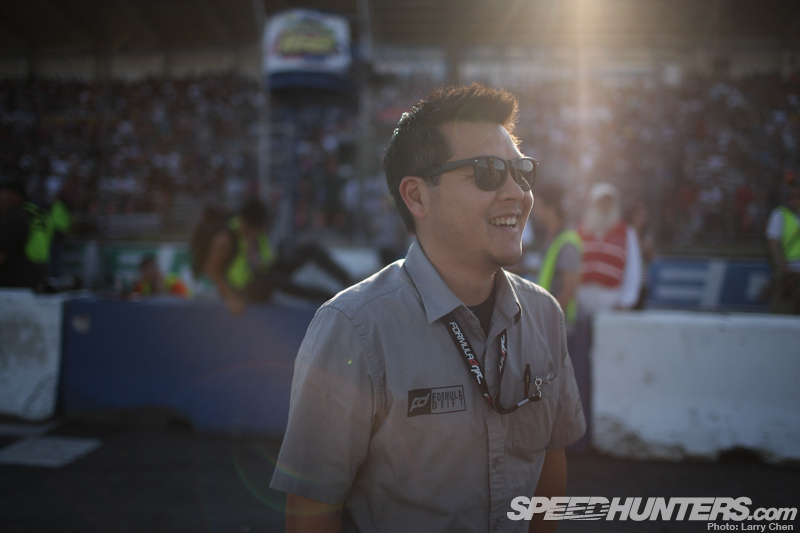 Jim - Irwindale has always been our season finale since year one, and we had this lingering thing. 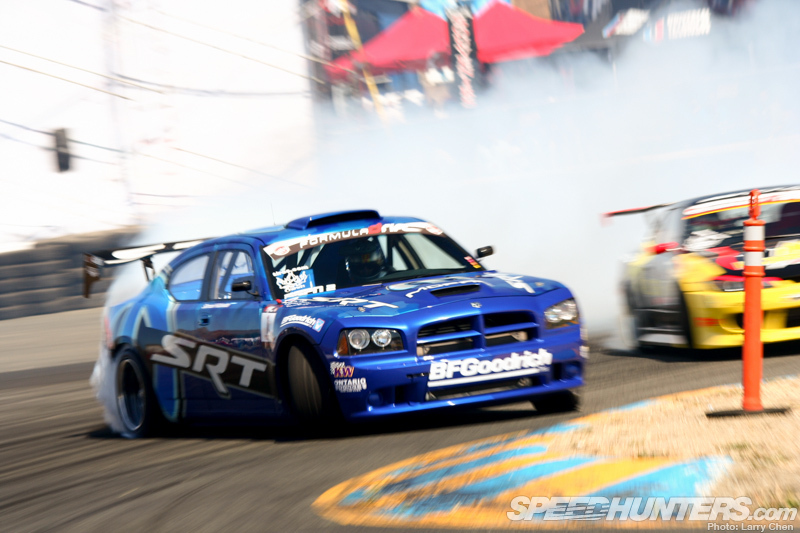 We created our own rival because when D1 decided not to do a long term deal with us, we decided to start Formula Drift in 2004 and it was automatically a comparison to D1. People would ask, what is the difference between you guys and D1. That was a public discussion that was lingering around in the media for a long time. 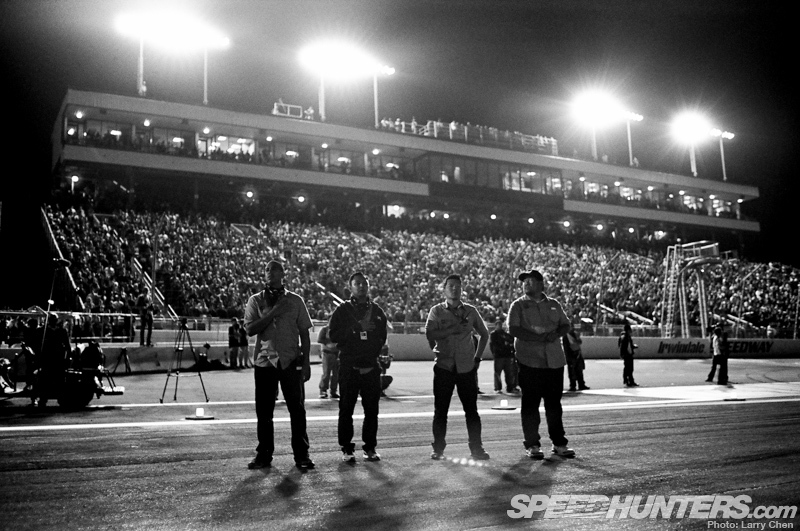 Like Ryan was saying, I think it was the third Irwindale when it came full circle. The first years I was thinking, ‘This is good, lots of people are coming out and the American drivers are getting better’, but I was also thinking if it could sustain itself as a domestic product versus if we needed to continually have an infusion of D1, like the Japanese drivers who came to judge, or the Japanese guys who came to compete. We were wondering if we needed D1 content to make it sustainable, and in the beginning we still kinda needed that. But we went full circle, because that third year at Irwindale we literally hit and beat the attendance numbers of that 2003 Irwindale D1 event. 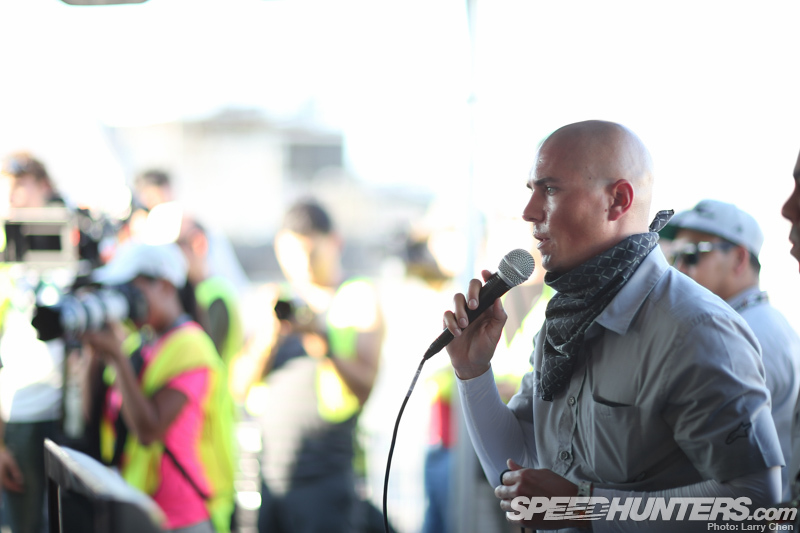 I said to myself, okay, we have come into our own, now we are sustainable enough that Formula Drift is going to do well whether we have that Japanese content or not. It was nice to have that monkey off our backs. 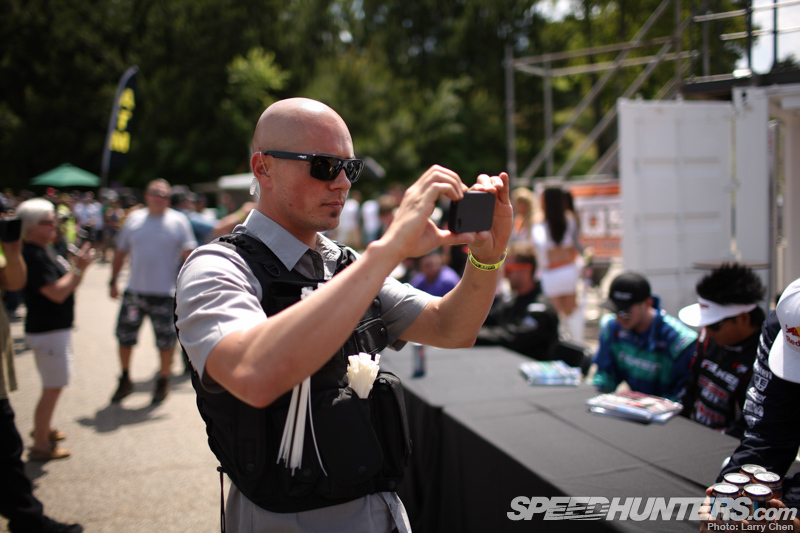 Larry - Since I started with Speedhunters I’ve had the opportunity to cover so many different types of events, and I am not comparing you guys to those series that have been running over 50 years, but you guys just hit your 10-year, that is a pretty big milestone, no? 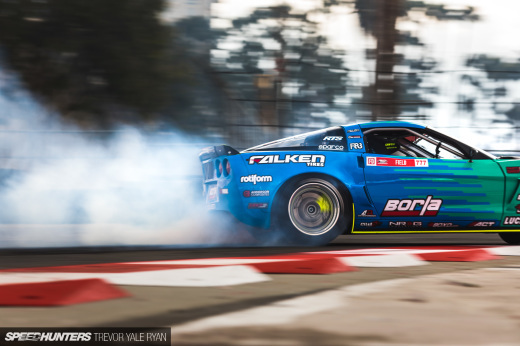 How far do you think this drifting thing can go? 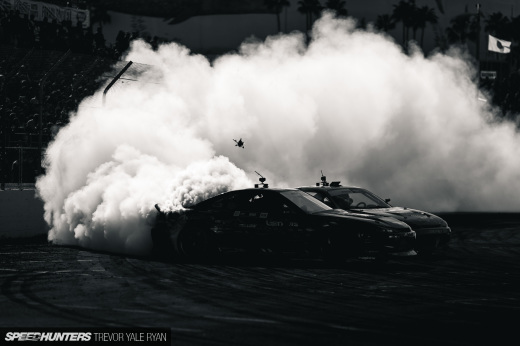 Ryan - From a stylistic point of view, if you look at Formula Drift from a distance, one may notice that you seemingly can’t really contain the evolution of style – and I mean all style, not just driving style. In the beginning, we were taking necessary measures integrating D1 stylistic assets into the series. The series evolved out of that and it showed us that we didn’t need those type of things. From there it evolved to another projection, which is the American style of drifting. This became something that people talked about. Then came the American OEs and then a hybrid of things. After that was the reintroduction of the USDM slash JDM infusion element. We have a mix of all those things right now. We can’t really contain the evolution, but what kind of direction it takes we can play an integral role. From an event perspective, I have always said I think Formula Drift could be a lot like how Supercross is. You have a really recognizable national series with an international appeal and drivers from all over the world. It’s on television and it has a great presence on the web. As long as you have a venue to drift at then you should be able to expand and do the kind of things that supercross is doing. In the sense that there are no ‘drift’ tracks, we either have to make adjustments for us to be at a certain venue, or the venue has to have suitable facilities for us, like Irwindale. Then you have tracks like Road Atlanta where they actually modified their race track to make it suitable for us. Could this appeal to venues and fans get us to 20 years or 30 years? Obviously I want to say yes, but more importantly, in reality, we are finally getting into the mainstream culture. 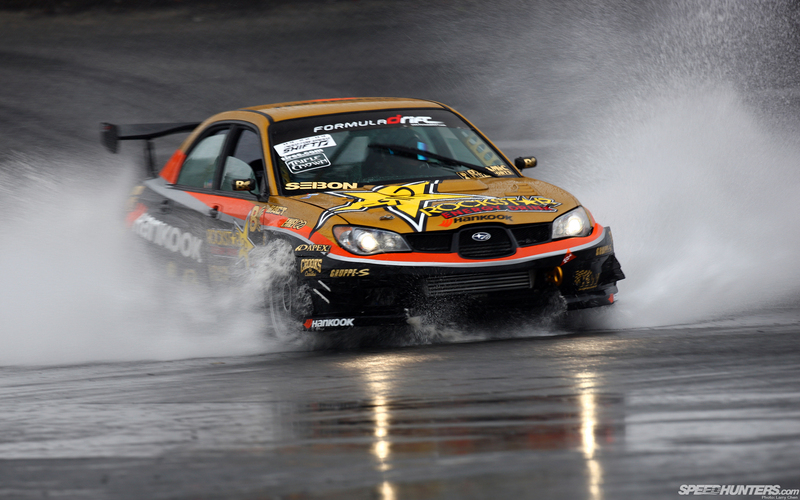 More and more people know what drifting is. 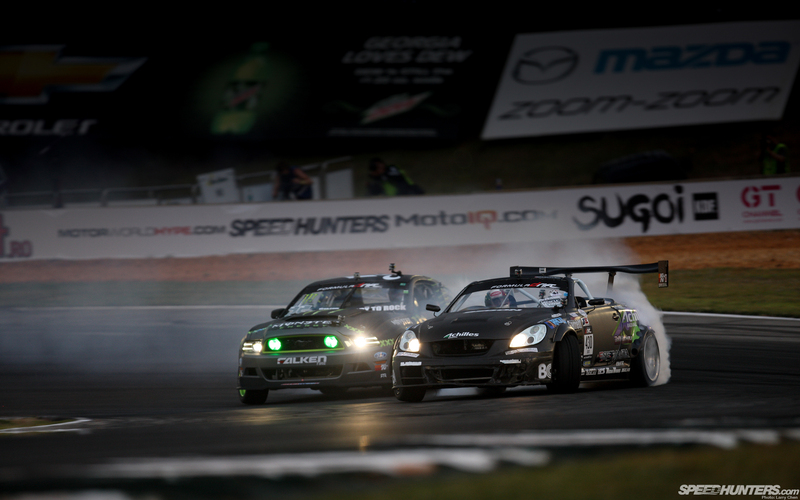 Perhaps they don’t know the brand Formula Drift, but they certainly know the word ‘drift’ and ‘drifting’. That is enough for us to take advantage of the situation. As for the event, we think the events speak for itself. An individual comes to these events and they get to see the ever changing environment from a competitive standpoint. You never see the same thing twice and once we get to the Top 16, forget about it! If you are someone who comes to an event for the first time you usually walk away hooked and you want to come back. Will seeing two cars sliding at a high rate of speed next to a concrete wall ever get old? I don’t know how it could. 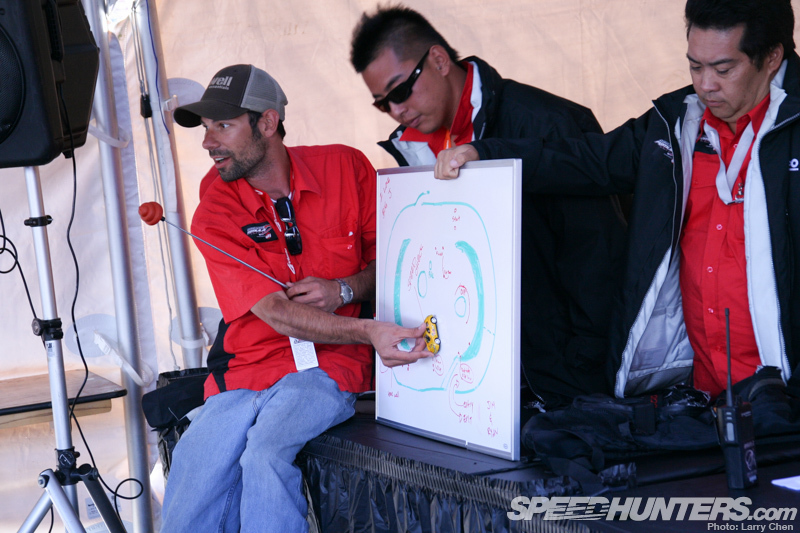 Larry - What do you think Jim, what do you think is next for Formula Drift? Do you think it will last 20-plus years? 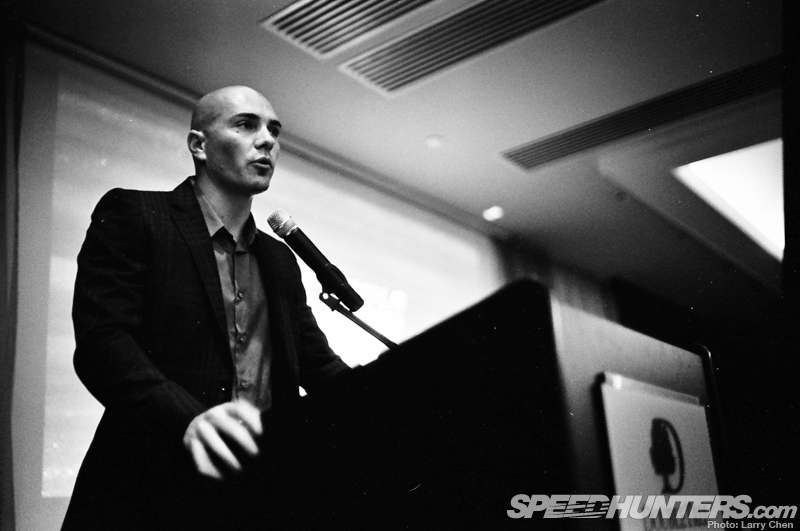 Jim - I think to Ryan’s point, comparing it to supercross is very realistic for us. I don’t think we will never will be the next NASCAR, but not to be overly philosophical about it, but I think we have all the elements in place to become something like supercross. Like any other sport the drama is organic and it is always ever changing. You won’t see the same thing twice. It’s always evolving, it’s always changing. Personally I think we have more to fear, from inside our community than outside our community. I don’t see something like NASCAR purposely coming to squash us because they feel threatened by us. 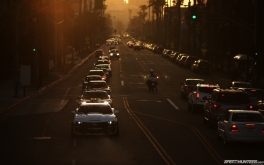 I feel the fragmentation inside – the wanting of, “Let me start a series to compete with Formula D”, or the “I am bigger the Formula D and they need me more than I need them” mentality. I really do feel like it’s like a communal thing, that we all have to grow together for the series and the sport to thrive. Not for the sake of Ryan and Jim’s personal desires, but because of all the people that are invested in this – all the people that have careers that rely on drifting to be successful. Ryan - I think at the end of the day, if you are vested in the series and you have not asked yourself the question of whether or not you think the sport is a novelty or not – and really honestly answer that question – then you probably don’t belong in the series. You are either in the camp ‘this is a legitimate motorsport’ or ‘this is a cool novelty for the moment.’ I think more people have shifted into the former, and the people that are still in the latter are the people who don’t understand it. But if you are in ‘novelty’ camp and you are still vested in the series, then you might as well get out of it, because that is not the trajectory that we are trying to promote. To be more nuanced, I should also say that is does not require us to respected as a real legitimate motorsport by the rest of the motorsport community for this to be a worthwhile project for us. 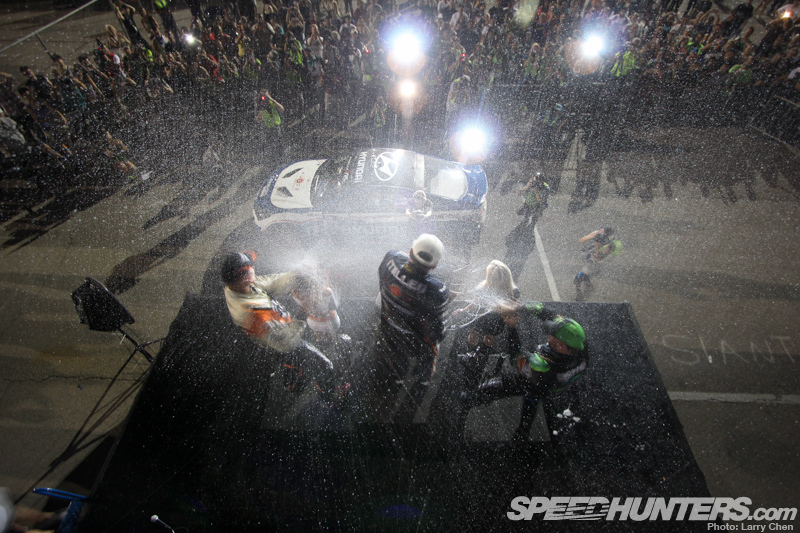 We believe we are a real motorsport. The drivers believe that. Our fans believe that. If you don’t think that two cars drifting side-by-side being judged in a subjective way is a valid motorsport, then don’t be involved in it. But there are hundreds of thousands of people in this country and more around the world that do think it does deserve that status. Those are the kind of people that will help us to continue to grow this sport. 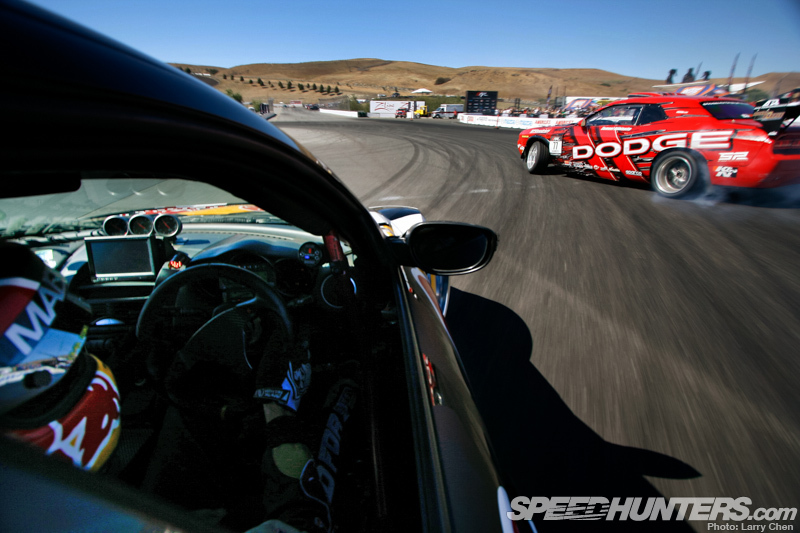 For the longest time people would always said drifting is a fad. At what point in your tenure do you stop being labeled as a fad? What if we make it 25 years and we go out of business, would people still be saying that? Well geez, that is a pretty damn long fad! Come on! Pogs were a fad. 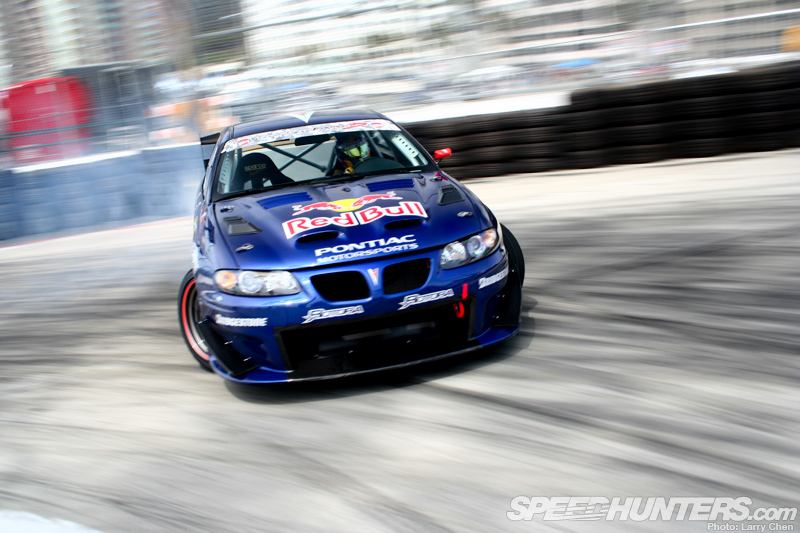 Drifting is not a fad. 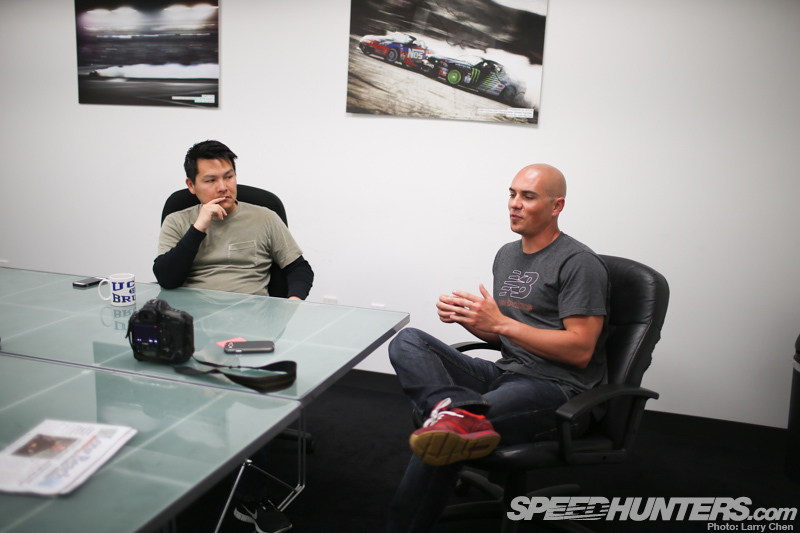 Jim and Ryan read Speedhunters, so feel free to ask questions, just keep in mind they are busy with Formula Drift Long Beach.